The application deadline for Fall 2019 admission consideration to the EdD program has passed (Jan. 23, 2019). This program is no longer accepting applications for the Fall 2019 cohort. 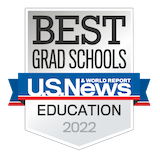 The EdD program application for Fall 2020 admission will open in early July 2019. If you are interested in receiving a notification when the Fall 2020 application opens, please complete our Request Information Form. To address the changing landscape of education in the 21st century, the School of Education has been a pioneer in establishing an online Doctor of Education (EdD) program. The program, designed to prepare an exceptional corps of practitioner-scholars both nationally and internationally, sets the bar for transformational leadership in education through scholarship, professional development, and networking with educational leaders and researchers representing a variety of backgrounds and interests. Online delivery allows candidates to address a problem of practice particular to the educational environment they occupy wherever they are in the world. In its fifth year, the EdD program welcomes students from China, Azerbaijan, Rwanda, Singapore, South Korea, Canada and Brazil, as well as across the United States. 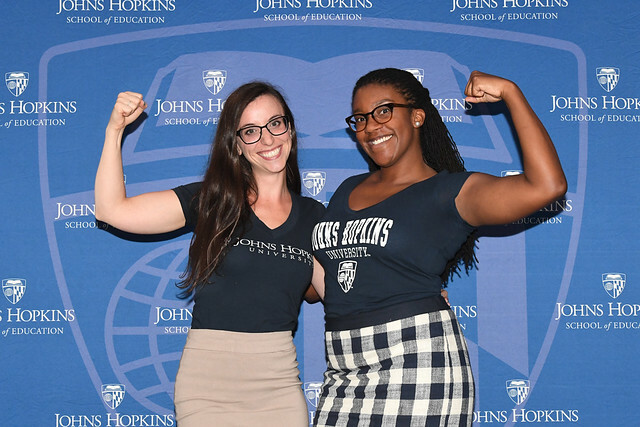 This unique program extends the School of Education’s global reach and promotes interdisciplinary growth, which is a hallmark of a Johns Hopkins University education. As a competitive and limited admissions doctoral program, the graduates set a high standard for transformational leadership in education, apply evidence-based practices to improve educational outcomes, and meet the vast challenges associated with improving learning outcomes in public and private educational environments. They support the continued creation of new areas of research, promote an increase in the utilization of research findings in professional practice, and contribute to the public discourse and policy. Applicants to the Doctor of Education EdD (Online) program are strongly encouraged to submit GRE examination scores for the General Test as part of the admission application. While the GRE examination is not a requirement for admission consideration to the program, submitting a GRE test score is an opportunity for applicants to present additional evidence of the quantitative and verbal skills required for the doctoral-level study. The Admissions Review Committee is committed to the practice of conducting holistic evaluations of all admission materials submitted as part of an applicant’s file. The Committee does not use cut off scores or minimum suggested averages for GRE in the evaluation process, or to determine admission consideration. Johns Hopkins University is a member of the Carnegie Project on the Education Doctorate, which is the knowledge forum on the EdD. It has a membership of over 100 schools of education in the United States, Canada, and New Zealand working collaboratively to improve professional preparation in education at the highest level.